We’re hosting our Healthy Buildings Conference and Expo on 15th February at UCL. 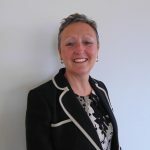 With the tagline – ‘Products, People, Planet’, the conference will feature a range of expert speakers including Carla Jones, Allergy UK; Dr Caroline Thurner, IBO; Dr Marcella Ucci, UCL IEDE and Lynne Sullivan OBE, past chair of BRAC Part F.
Carla is leading the strategic growth of Allergy UK, the leading national charity dedicated to supporting the estimated 21 million people in the UK affected by allergic disease, and their families. She represents Allergy UK at influential organisations in the field of allergy both in the UK and across Europe, including the British Society for Allergy and Clinical Immunology (BSACI), the European Federation of Allergy and Airways Association (EFA) and the European Academy of Allergy & Clinical Immunology (EAACI). ChemSec, the International Chemical Secretariat, is a non-profit organisation dedicated to working towards a toxic free environment. Their work aims to speed up the transition to a world free of hazardous chemicals and is guided by four key principles; the precautionary principle, substitution, polluter pays and right to know. They monitor the REACH process and aim to speed up the process of phasing out of chemicals. The SIN (Substitute it Now!) List is a globally used database of chemicals likely to be banned or restricted in a near future. The chemicals on the SIN List have been identified by ChemSec as Substances of Very High Concern (SVHC) based on the criteria established by the EU chemicals regulation REACH. The aim of the SIN List is to spark innovation towards products without hazardous chemicals by speeding up legislative processes and giving guidance to companies and other stakeholders on which chemicals to start substituting.